Is there a body, mind connection to will power! According to the principles of TriOrigin, there is of-course. Will power said to live in the Kidneys and state of the Kidney channel energy directly correlates to the fortitude of our will power. “The Kidneys determine our will power,” “If the Kidneys are strong, the will power will be strong, the mind would focus on goals that it sets itself and it will pursue them in a single-minded way. Conversely, if the Kidneys are weak, will power will be lacking and the mind simultaneously be easily discouraged and swayed from its aims. A person with Yin Will manifests conservatism, inertia, and inability to accept new ideas. Often and quickly such a person replies to ‘No’. Thought processes show an inability to hold several ideas at once, though switch, moves from one place to the other. Thought processes show a tendency to a consecutive development of ideas, once at a time. Thinking is rigid, with little room for alternatives or unable to accept the changes so easily. Decisions are made quickly. As Will subjugates Originality according to energy axis of six energies, once a decision is made, that is the only way to reach ones’ goal. It is better to have a friend with Yin Will. Such a friend shall never betray as such person has the ability to penetrate deeply into the essence of events and situations… Yin Will is connected with the Kidney meridian, organs. BUT; a person with Yang Will can make decisions in extreme situations. Such a person is extremely conservative, thought patterns are extremely rigid as such a person may manifest stubbornness, but it does not last for a long time. Yang Will, may be subjugated only by Yang desire. Decisions by Yang Will person never are changed except by time passage. A person of this category evaluates situation quickly, understands which position to take to be in control of the situation. In extreme situations such a person displays extreme caution. Yang Will is directly connected with the Urinary Bladder meridian, organs. TriOrigin, with the energy concept, emotions are stronger in creation function of the fundamental forces, and energy of the body follows that emotions. 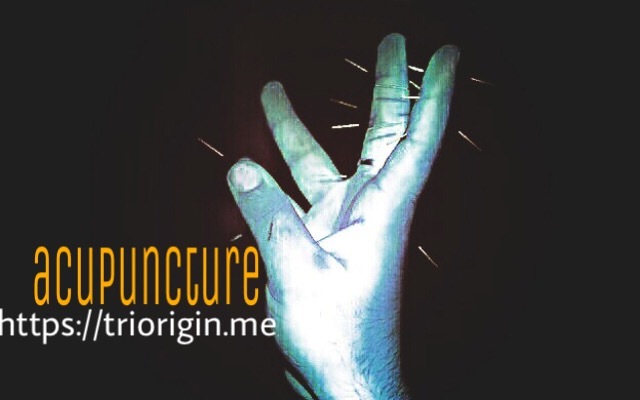 To neutralize the will power connection or the organs Kidney and Urinary Bladder, one should opt for the acupuncture to regain peace of mind and stay healthy with a SMILE! One may put color dots to improve the state. The aim is to promote health and ease sufferings. Give a Try!